There are lots of things we consider when selling our cars but sometimes it becomes difficult to identify the best place you can get all the requirements you want to get. These hindrances may be expensive to overcome and may end up ruining your expectations and lead to low income. At Melbourne, things are different because you have a wide variety of options to choose starting from higher buying prices to free services. We shall discuss some of the unexpected benefits of Selling Your Car in Melbourne to car removals company. Let us get started and find out why you need to try these companies. There is a huge collection of cars at Melbourne from which you can choose from and get your perfect match. The existence of many car removals companies in this place makes it possible to find a place to sell your car whenever you want and wherever you are. The vast car brand collection is aimed at providing sufficient car selling services to car buyers who have to choose their best match with minimal effort. Here you are at freedom to exchange your car for another through negotiations with your dealer. Nobody likes it when you sell a thing and get your payment several months later. You want to sell your car and get instant or at least same day cash for cars to enable you use the money for other purposes or acquire a new car. Try Melbourne and you will be amazed to find out that you get instant payment from your dealer. Save your day for other important activities by getting involved in such quick process where you get your money with little or no spending at all. Handle emergency issues that you did not expect without any much struggle through these car dealers. Free towing is what most car sellers find amazing especially when it comes to reducing costs they were to incur if they had to do the towing themselves. Most car dealers in Melbourne nowadays provide towing to their clients as an extension service and as a strategy to ease the car buying and selling process.This is a step further in the car selling industry that is going to bring about revolution in the industry. Is it not good news to find that your car dealer is going to process all the documents on your behalf? At Melbourne, this is the case and you will be saved from the costs of these tiresome and time consuming activities. Sell your car to a dealer at this place and receive these free services. You can arrange via a phone call or through a website whereby you will only be needed to provide some few details about yourself and your car and the rest will be done by your dealer. Most of the car selling activities in Melbourne is done through car dealer’s website where you get direct contact.This eliminates brokers who negotiate on behalf of the dealer and end up making the process complicated and expensive. Every seller avoids this process and thanks to the improvements in Melbourne that have helped eliminate the broker component that has always hindered the process and make it slower than it should have been. You are now free to sell your car at will without fear of losing more money looking for a buyer through a broker. 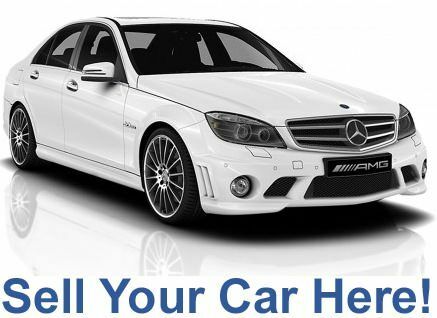 Cash for Cars VIC offers free car removals and top Cash for old, used, damaged and unwanted cars in Melbourne. Call us today for a same-day cash for car sale at 0423 199 008 / 0434 988 004.